Your reputation depends on getting the job done, and getting it done right. 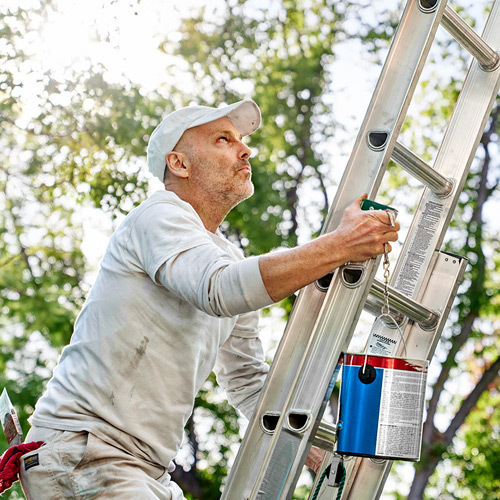 Today, in order to exceed your customers' expectations, not only does your paint need to have great coverage and durability, it must meet a growing list of national, regional, local and customer-driven regulations. 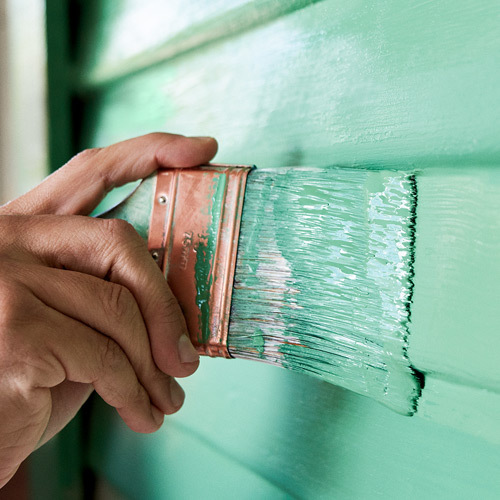 PPG Paints™ offers a variety of zero- or low-VOC* products, assisting architects, building owners, homebuilders and professional painters in being green. We are committed to offering products that meet the most stringent regulatory standards while delivering the performance you and your customers expect. Whether you are looking for answers on "What is SCAQMD?" or trying to find LEED Certification information, you've come to the right place. If your goal is to “build green”, be it through meeting local or national VOC regulations, qualifying for LEED® credits, or consciously attempting to minimize the overall environmental footprint of your building, PPG paints can help. From residential to commercial to new home construction, PPG Paints can supply every type of project with a product solution that will help you meet your goal. We offer products that meet the most stringent environmental standards which require either zero or low VOC* coatings while delivering the performance you’ve come to expect. 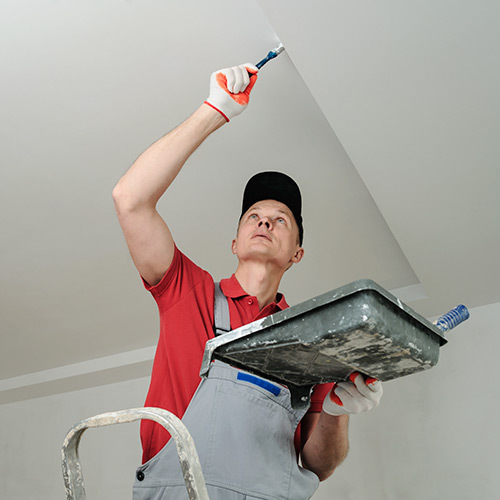 *Colorants added to these base paints may increase VOC levels significantly depending on color choice. Simply look for the “Ecological Solutions from PPG®” logo when trying to identify which PPG Paints products meet these standards and can help earn LEED credits. Use our search to find products qualifying for governmental regulations and third-party certifications. Please Note: This information is provided as reference only, and indicates information collected at time of publishing. VOC requirements are subject to change by the agency with jurisdiction in a specific regulated area. To achieve our goals of being both a fiscally-sound and environmentally-responsible firm, PPG has re-engineered many of the manufacturing processes at its paint facilities to minimize energy consumption, improve air and water quality and cut waste. Each paint manufacturing plant has an active recycling process that includes the reuse of washwater from the production process, the rework of obsolete inventory and the recycling of raw material containers and packaging. Other packaging goods - such as plastic and stretch films, super-sacs, cardboard and pallets - are recycled or recovered by suppliers, secondary users, scrap dealers or through third-party contracts. Program may not be available in all areas. In 2008, PPG was the first national paint supplier to initiate a recovery program for five-gallon plastic pails used for water-based products. Empty and dry pails are returned to company-owned stores, consolidated and sent to distribution centers for shredding and recycling. In addition to its environmental benefits, this program reduces customer costs by eliminating the need to pay for empty-pail disposal. Program may not be available in all areas. You can read more about PPG's commitment to environmental responsibility. Download our annual Corporate Sustainability Report. Health and air-quality concerns have prompted regulators at the local, state and national levels to limit VOC content in coating products. Manufacturers must formulate their products to meet these requirements in order to sell the products in various jurisdictions. At the broadest level, the National Architectural and Industrial Maintenance (AIM) Coating Rules apply. At a minimum, all states must comply with the US National AIM Rules. Regions (Ozone Transport Commission - OTC), states (Utah) or local air quality boards (South Coast Air Quality Management District - SCAQMD) can choose to set more strict regulations within their jurisdiction. Additional local regulations may apply in some areas. Please check with your local air quality board. Independent of government regulations, third-party green certifications promote and regulate the design, construction and operation of high-performance green buildings. These buildings include everything from large-scale commercial structures to individual homes. 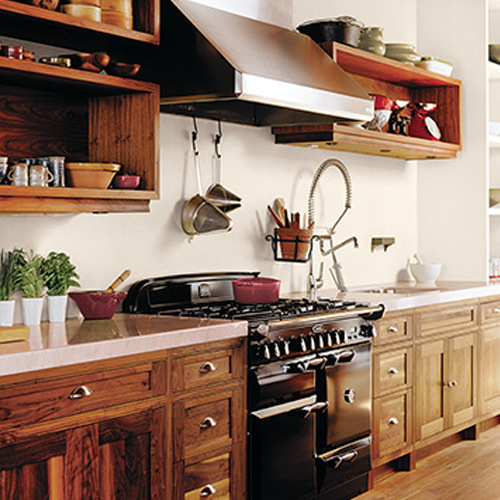 Each third-party certification has its own set of certification standards and criteria. From governmental regulation certifications to offering green products for LEED certified buildings, from answering questions like "What is SCAQMD?" to covering the requirements for Low-VOC paints - PPG has many ecological solutions for your next project.